HOW TO BECOME AN ADJUSTER – The Adjuster School is a Certified continuing education provider by the Texas Department of Insurance (Provider # 33399). We offer courses for individuals that are interested in obtaining the highly recognized Texas All-Lines Adjuster’s License (Classroom course & On-Line course), which is the most versatile and sought after adjuster’s license in the Insurance industry. In addition to the Texas All-Lines course, we also offer Xactimate Training, Advanced Xactimate Training, The Keys to Success in Adjuster Training, Property Field Adjuster Training, Auto Adjuster Technical Training, and On-Line Continuing Education for Agents & Adjusters. Our courses and training products are supported by experienced instructors with Property & Casualty Claims and Management experience. 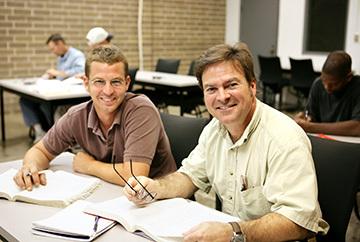 Our Classroom Texas All-Lines Adjuster Licensing Course and Xactimate Training are taught by an instructor that has 26 years of Claims Experience. Our goal is to provide you with the tools and resources that you need in order to become a valued Staff or Independent Claims Professional! You will only make yourself more marketable by having the Texas All-Lines Adjuster License. The All-Lines License allows you to handle a wide variety of claims, such as: Catastrophe, Homeowner’s, Auto, Liability, Casualty, Inland/Ocean Marine, Flood, Commercial, Bonds, Worker’s Compensation and more. It is important for you to understand why the Texas All-Lines Adjuster License is so highly regarded. The Texas license is so highly regarded because it is RECIPROCAL in 30 states. Click here to learn more about Reciprocity. Our 40 Hour course and final exam satisfies all of the Texas Department of Insurance requirements for obtaining your Texas All-Lines Adjuster License. No further testing or coursework will be required. As stated above, The Adjuster School offers both Classroom Training and Online Training courses. Customer Satisfaction is our main priority. We work very hard at providing the best learning experience possible, and stand committed to offer you flexibility and options to fit your specific needs. Let us help you Become A Licensed Adjuster! The Adjuster School is committed to providing you with the training, tools, and resources to become a successful Independent or Staff Adjuster. All of our classes are thorough, comprehensive, and reasonably priced. The Adjuster School does not employ any commissioned sales personnel, or any type of phone solicitors or telemarketers to twist your arm to come to our classes. The money that we save by not employing this commissioned sales staff and phone solicitors are directly passed on to our customers. Our reputation in the Insurance industry speaks for itself. In fact, when you contact our office you will probably speak to the Owner/Instructor Eric Thomas on the phone. Mr. Thomas likes to speak to each and every customer to ensure that all of your questions are answered by someone with 26 years of Insurance Adjusting experience, including 9 years as a Claims Manager with Allstate Insurance. The Adjuster School will give you the Straight Story on Insurance Adjusting. Not scripted answers that were discussed in a Sales Meeting. If you want to be an Independent or Staff Adjuster, we will give you the Straight Story on the Step by Step process to make this happen for you. We will tell you what you really need to do, not just what someone else wants you to do for a fee. We will tell you what certifications are important vs. what certifications are meaningless and just ways to make money off of you. Our Combo Package provides you with sample resumes, additional post class training, employment directories, and much more. The Adjuster School has helped thousands of individuals just like yourself go to work as Staff and Independent Claims Adjusters. We encourage you to look over our website to learn who will be providing your training, and also to see the training products and resources that we have to offer. If you have any questions, please feel free to contact our office at (281) 546-5873.